No doubt one of the most anticipated releases of 2018, Ghost’s Prequelle is simply a masterpiece. Ever evolving Ghost are never ones to be content with being stationary in their creative approach. After garnering success from their brilliant Meliora, the band continued their creative flourish on the Popestar EP and even found time to release their first ever live album Ceremony and Devotion but now at last the time has come for Ghost’s return to the centre stage. Slowly but surely embodying the theatrics that come with the territory of a Ghost album, Prequelle could arguably be the most cinematic to date. 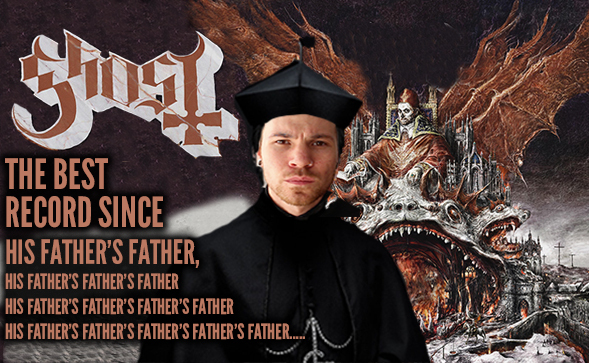 Based around the theme of the Black Plague the entire record practically inhabits this darker creative niche that Ghost have been in and Prequelle is bombastic, cinematic genius that no one but Ghost would be able to conjure up. Watch the full video review below before its June 1st release!